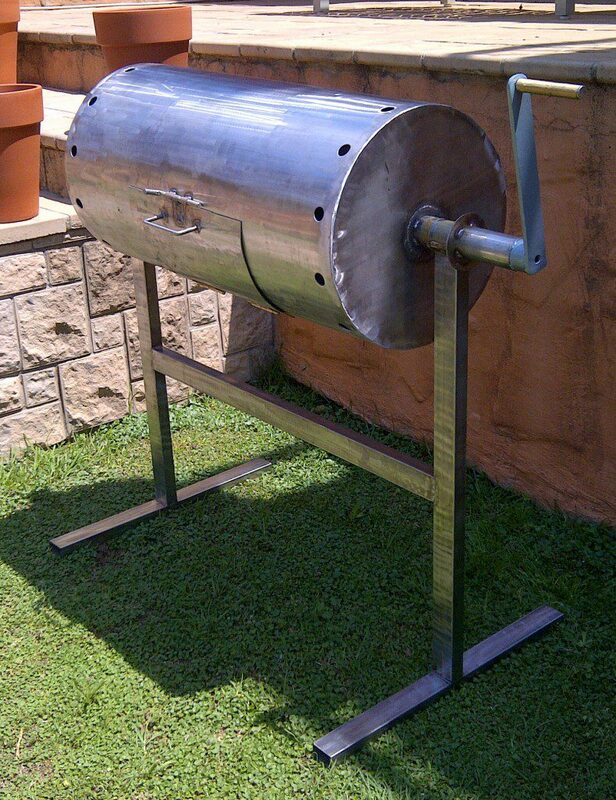 BOKASHI BRAN, TOGETHER WITH ARTISAN TRAINING INSTITUTE, HAVE DEVELOPED A COMPOST TUMBLER. THE DOMESTIC TUMBLER IS 100 LITRES IN CAPACITY AND WILL CONVERT 2 X 25 LITRE BUCKETS OF BOKASHI FOOD WASTE INTO COMPOST WITHIN 4 WEEKS. The compost tumbler is the quickest, easiest and neatest way of converting your food waste into compost. The units are made of stainless steel so will last a long time. 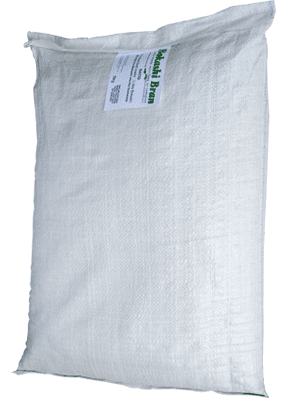 If you have dogs digging at your bokashi, this is also a great option to consider. 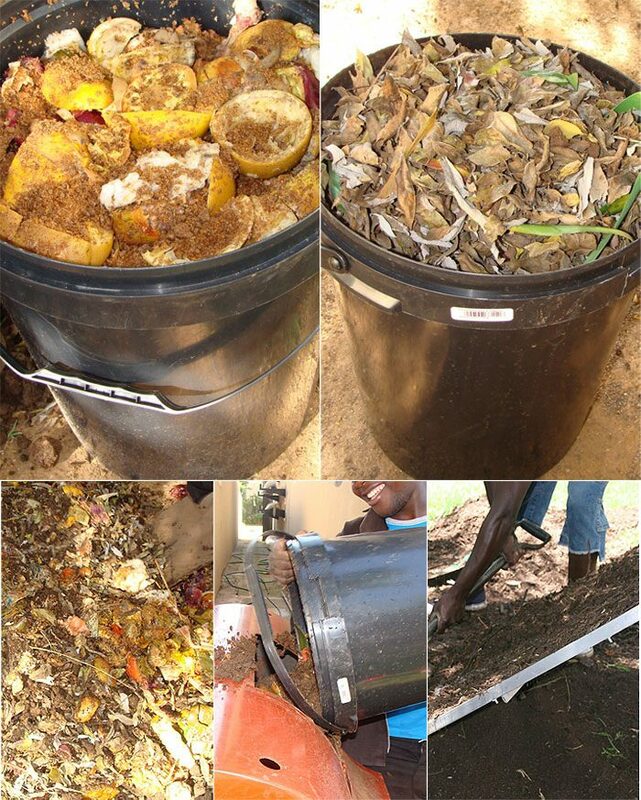 Garden waste including leaf rakings, grass clippings and shredded twigs and branches are mixed with the fermented bokashi food waste and loaded into the tumbler. The tumbler has a handle that is turned regularly for 2 weeks. After 2 weeks, the tumbler is emptied and left to stand in the open for 2 weeks. Sift through a builders sieve and use it in your garden.